New season in Europe and bigger competition for Asian players to win the starting 11 position (or at least being the steady sub). At the stake is the call up to represent their national sides in Brazil 14. Australia certainly have less footballers playing regularly in England and Italy compared to ten years ago (and on the surface, more of them play in the Middle East and Asia), but that don’t necessarily mean they are out of Aussies playing in Europe. 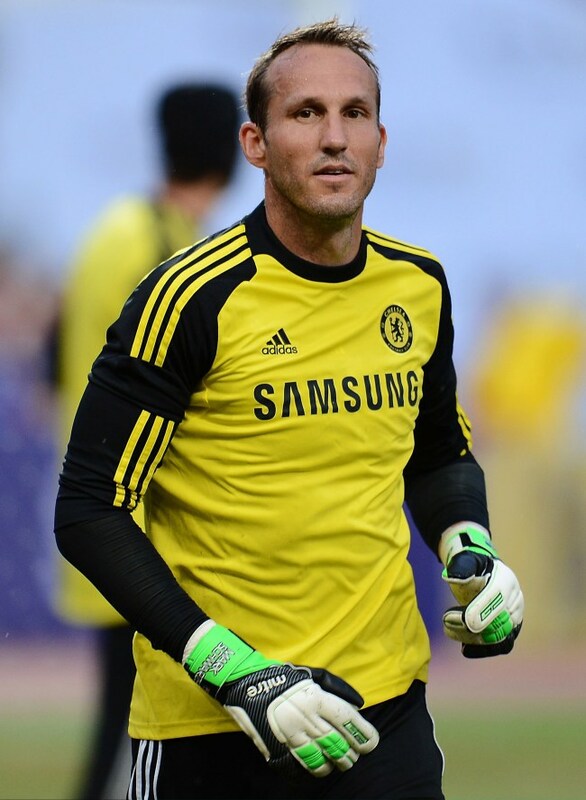 Mark Schwarzer is certainly still be Australia’s number one in Brazil, and he is willing to sit for Petr Cech if that means he can train with Chelsea (more importantly, Chelsea was willing to grab him. Seems they really don’t have any sub goalkeeper left besides Hilario. Similarly, Mitchell Langerak is the understudy of Roman Weidenfeller, who will certainly become one of Germany’s prime choices. He is yet to play for guard the posts for Australia. Matthew Ryan, formerly a Mariner, is the first pick for Club Brugge in Belgium and is competing tightly with Japan’s Eiji Kawashima (more on Japan section). No such luck for Adam Federici, now the sub goalkeeper at Championship’s Reading. Similarly Brad Jones wishes that he’d have more air time with Liverpool, seeing that Belgian Simon Mignolet (with big ambition himself) has settled well in his debut at Anfield. Top three: Schwarzer, Ryan, and Langerak or Jones. Their toughest competition would be Eugene Galekovic. Luke Wilkshire is playing his sixth season in Dynamo Moscow but the competition is tough with younger locals. Michael Zullo is struggling to get into the Utrecht bench, while Rhys Williams is having less competition in Middlesbrough – ditto for Jason Davidson. Top four: Well, that’s all we have. David Carney is in New York, Lucas Neill is in Omiya, Japan, and Jade North is in Brisbane. Tommy Oar has secured his winger position in Utrecht and how many rivals you think James Holland can get in Austria Wien? Mile Jedinak look strong in Crystal Palace. Tom Rogic is still hoping for his Celtic moment, Nikita Rukavytsya must fight for his position at Mainz, and Terry Antonis is developing in Parma. Carl Valeri hopes he can do something with newly promoted Sassuolo, Ben Halloran must try harder in Fortuna Dusseldorf, and finally Adam Sarota is still recovering from injury in that Little Asia club called Utrecht. Top four: Oar, Jedinak, umm..well, not very promising is this? Cahill is in America while Bresciano is in Qatar. Holman is in UAE while Nichols is playing for Melbourne. Victory. Robbie Kruse is of course Australia’s great hope, that if he can prevail over the Sam-Kiessling-Son trio. Mathew Leckie is steady with FSV Frankfurt, while Eli Babalj is waiting for his star to fall at AZ. Top two: Kruse…and Leckie. A-League’s best are Thompson and Duke, while Kennedy is still in Nagoya and Brosque is still in UAE. 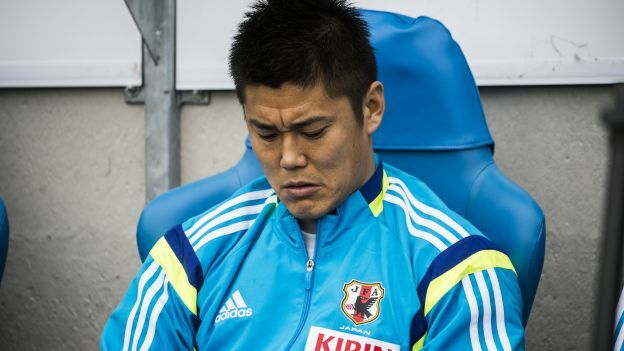 Samurai Blue is still in terrible form with only two players standing out: Kagawa and Honda. And Okazaki now and then. Still, it doesn’t hurt if they keep their German conversation club going. Eiji Kawashima bounces back from his humiliation with Japan in the Confederations Club and friendly against Uruguay with four clean sheets with Standard Liege, now number one in Belgium. Looking forward for Liege vs Brugge. Top three: Nothing much here – Kawashima, Nishikawa from Hiroshima and Gonda from Tokyo. With Hayashi from Sendai trailing, but he’s pretty old. Atsuto Uchida is one of the most high profile right back in Bundesliga and is now linked with Arsenal. It’s all up to him (remember that I wrote that Wenger disrespects his Asian players). Yuto Nagatomo hopes for a better year with Internazionale with him performing. 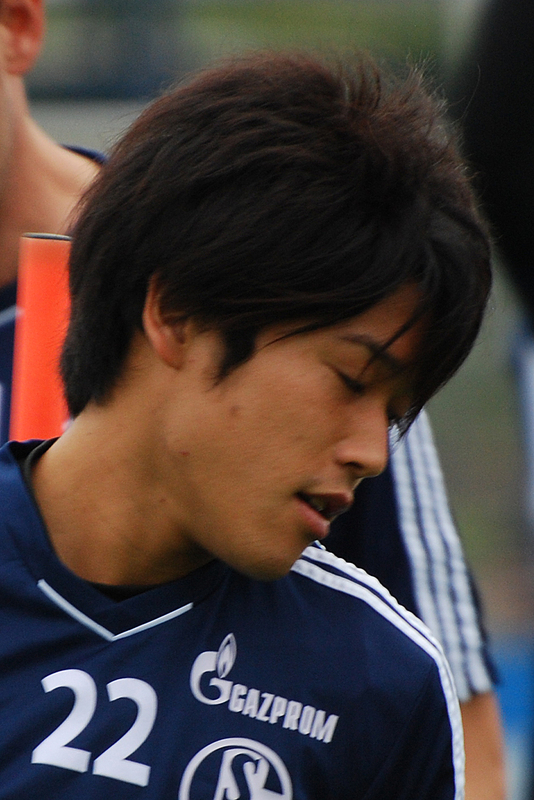 Gotoku Sakai is the prime right back for Stuttgart. Maya Yoshida, however, faces a tougher second year with Southampton. Hiroki Sakai enjoyed a promotion to the first team with Hannover. Top four: With all these boys, we wonder how the hell Japanese defense was terrible. Makoto Hasebe is sitting pretty for Wolfsburg’s bench, Hajime Hosogai holds Berlin’s midfield, Takashi Inui is playing for Frankfurt, Yuki Otsu is staying with VVV in Eerste Divisie…and welll….Ryo Miyaichi and Arsenal. Ah-ha. Top four: Hosogai, Inui, it depends if you think how VVV fares against Nagoya or Kashiwa. Otherwise, there are Aoyama and Takahagi from Hiroshima and Yamaguchi and Ogihara from Cerezo. These are the best bits: Depends on the month, Kagawa and Honda can be forwards or midfielders. The surprise is that Keisuke Honda stays in CSKA, but he knows damn well he’s the best in Russia. Shinji Kagawa, on the other hand, didn’t show his super-ness in Manchester United’s Japan tour and had better times with the national team (thank God). Remains to be seen if he’ll get a place in Moyes’ scheme. With Bony in England, now Mike Havenaar is Vitesse’s point man. Time for him to work on his magic. Hiroshi Kiyotake has scored for Nurnberg while Shinji Okazaki faces the similar gauntlet to Havenaar – being the main striker – for Mainz. Top two: Honda and Kagawa, with sadly somebody gotta give for Brazil. Not to count that there at least one player from J. League. I’m among the Sato faction, but he can turned out be Kakitani. Finally, Korea. Which are in deep shambles. If Guardian Football recruits fans again for Brazil 14, I’ll go for Korea again seeing there are plenty British covering Japan. And Australians covering Australia. Heck, sometimes I do the explanation for Koreans in Indonesian media as this big expat group is too silent to explain themselves. There’s no Korean keeper in Europe. 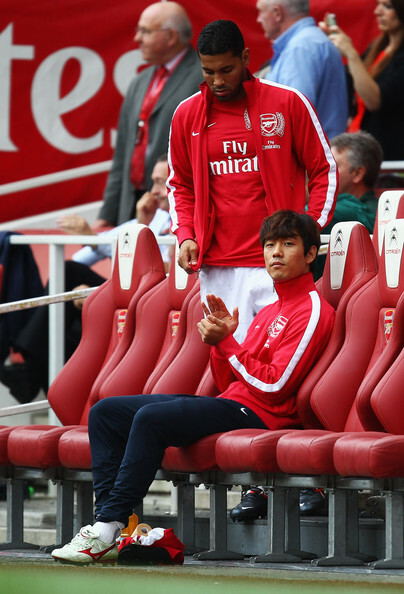 Park Joo-ho plays with Okazaki in Mainz. If Nikita can return to form, then Mainz have the complete Asian outfit. Yun Suk-young isn’t a part of Queens Park Rangers’ new Empire image (they defeated Ipswich Town with 9 English, 1 Irish, and 1 Canadian last week. Not that any Southeast Asian cared). Top four: Euh, can I talk about how Korea recruited all Japan-based defenders instead for the friendly against Peru? At least they were tight. Koo Ja-cheol looks good in a Wolfsburg shirt (just ask Makoto), the Welsh Kim Bo-kyung and Ki Sung-yueng look OK despite their defeats, and Lee Chung-yong stays loyal with Bolton. Top four: Nobody nobody but them. Son Heung-min looks alive in Hamburg, unlike Ji Dong-won and Park Chu-young. Top two: Son and well, shall we give Park another chance? Certainly these weeks have been full of mixed news for Asian football (cancelling my earlier draft of ‘It’s Even Worse’. To sum up, it’s the case of great news in Europe and bad news in Asia. Start with the Dan Tan saga. Slovenian Admir Sulic was arrested gave himself up in Italy after a short flight from Singapore. And I did not even have to put another theory that Dan Tan is in Singapore. He is in Singapore, protected by the Singaporean police. And Interpol has no problem with that. So why does Singapore protect him? The saving face theory is still in effect, plus another theory. The arrest of Tan can trigger investigations and spotlights on international banks involved on this major scandal. And Singapore (and even Interpol) does not want to disturb the peace of minds of all the big names here…HSBC, Citibank, Standard Chartered, several Swiss names…I’m just firing names here, but considering they did and do business with Iran and gave middle fingers to United States for having problem with that, well, I went ahead. Singapore is an important banking and finance hub in the world, like Hong Kong it relies on these incomes to become a big city, and no way it will let integrity and justice stand in the way of wealth and reputation. Just ask Interpol (so kids, give up on your dream to become an Interpol officer. You are not going to become James Bond with a badge). For many in Singapore – British pundits, member of the governments, and perhaps ordinary football fans, this is a ‘victimless’ crime. Random Africans, Arabs, and Eastern Europeans told to fix something in an unimportant league or international friendly where punters could gain some extra cash necessary for their Audi, Patek Phillipe, and condominium aspirations. What matters is Manchester United, the Three Lions, and Barcelona are winning. Therefore I continue my boycott on the S. League. Then good news comes from Portugal. Forty Chinese youth are playing in Portugal. They are not the best – the best are with China U-23 to learn disappointment, mediocrity, bullying, and match fixing. They were the next best things and were shipped to Portugal in a project made by Chinese and Portuguese football federations. Portugal needs the money and China needs a proper football environment. For the young Chinese, the cultural differences are not just about food, weather, and language. In China they would live in cities of dozen of millions, while in Portugal they are staying in towns populated by hundred of thousands, and we are talking about a Catholic country. But these towns have strong football culture and working leagues, while Chinese megapolises (well, they are over 10 million people big) have only one club. Good luck for them, although it looks like a typical Chinese case of Do-it-for-Me rather than Do-it-Yourself. Second good news is from the English League Cup final. A match of two fairy tales – League Two mid-rank Bradford City vs the pride of Wales Swansea City. Bradford City’s achievements won them the support of the South Asian communities who saw the club as the pride of white bigots who harassed their business after games (like how black South Africans saw the Springboks). Michael Laudrup put Ki Sung-yong on the defense, to the bemusement of Swansea supporters. Instead, it was a master stroke as he not only held the line but even initiated the charges by Michu, de Guzman, and Dyer. And the link to Guardian Football’s discussion on Ki made my Twitter entry favorited and retweeted by Korean girls. Sweet. 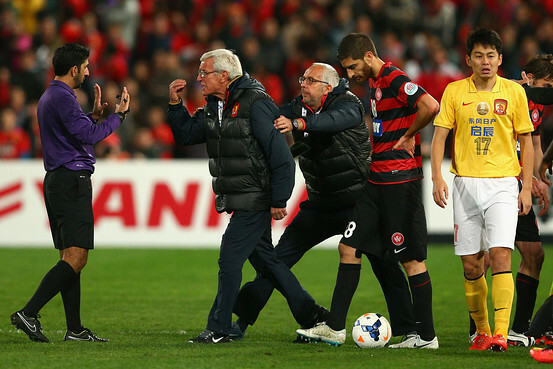 Back to bad news from the Asian Champions League. Which is actually good news for Thailand with Buriram and Muangthong holding Sendai and Jeonbuk. Predictably, this is a bad start for J. League teams except one. It’s also a disappointing day one for Korea, with one win (a good one for FC Seoul) and three draws. Even from China’s perspective, it’s also a bad start with with two losses, although Guangzhou were overjoyed with complete ownage over Urawa. Australia is also experiencing sinking feeling with a single representative in the AFC Champions League and the Mariners rely more on the teamwork rather than stars quality, with Matt Simon gone to Korea and Daniel McBreen, Matthew Ryan, and Bernie Ibini-isei yet to prove themselves in the national team. And well, you know the next big good news. Shinji Kagawa scored three goals, the second in his career. Japanese journalists posted in Manchester (not a bad deal, smaller than London but more functional than Liverpool and Birmingham) only to follow him are still enjoying their big catch prior to the match against Madrid (here’s hoping they are for second and even bigger treat). Liverpool go to ‘want that one’ mode and return to Keisuke Honda. Again, I’m not sure how I’m supposed to feel with that news. It’s sad to end this story with the twist – good news from Asia and bad news from Europe. Good news: Sergio van Dijk is enjoying himself in Bandung, Indonesia, with four goals out of four matches. Five goal less than another naturalized Indonesian, Cristian Gonzales, but he’s going there. The bad news from Europe? A week after he was panned by Vigo press for being a dud forward, Park Chu-young is not included into Team Korea for the crucial World Cup qualifier against Qatar. When you have got Son Heung-min and Ji Dong-won, you want to take two K-League strikers, and you have Kim Shin-wook and Lee Dong-gook. Despite Park’s six goals in the 2014 qualifying campaign last year. If I had been Choi Kang-hee, I’d choose Kim too over Park. Maybe June is a good time for him to enter the National Service. He’s had two World Cups and he won’t go to Brazil at this rate. Just like Julio Cesar. The leagues are over in East Asia but there are still plenty of Asian football this December. The AFF Suzuki Cup group stage ends with some upsets: Favorite Thailand leave without a win, and supposedly non-footballing Philippines go to the Semi Finals undefeated. What happened? ‘Naturalization’ is a popular topic in Asian football. Despite the supposed less migrant-friendly societies, citizenship transfer of foreign born players are less controversial than it should in Asia. In modern times, Japan started it when Ruy Ramos and Wagner Lopes played for Japan in the 90s. In Korea, Valery Sarychev and Denis Laktionov became Korean citizens although in the end they never played for the Red Devils. Qatar has no qualm in recruiting Uruguayans and Brazilians. Singapore was the pioneer in Southeast Asia when it opened path to foreign players in the S-League to play for Singapore. Nigerian born Precious and Agu Casmir, English born Jonathan Wilkinson and Daniel Bennett, and Chinese born Shi Jiayi did it for several reasons: They’ve married to Singaporeans and have children, they won’t be able to play for their national team, life’s better here, and so on. But after shocking Asia in mid 2000s, they might have been out of steam and looked less than impressive this month, getting away with a hard fought 2-1 win over Myanmar while held by Philippines and lost to Vietnam. Now both Indonesia and Philippines do well with naturalized players. Cristian Gonzales have played in Indonesia for years and have an Indonesian family. He’s 34. Irfan Bachdim, now idolized as a pretty boy by middle class girls who usually skip local football, has Indonesian father and Dutch mother. On the other hand, the Filipinos consist of several Filipino-looking men who have classy English surnames (e.g. Greatwich, Younghusband, or Etheridge). They study professional football in England and United States and the nutrition, training and experience there have rewarded them with the sharp edge in defeating Vietnam 1-0 and holding Singapore 1-1. Even Indonesia cannot take them easily despite having a double home advantages (the organizers deem Philippines to not having adequate ground for their home leg). Better for these Filipinos, they don’t have to ditch their father’s side citizenship, unlike in Indonesia (although they are aware they won’t be able to play for England or Iceland). Of course, naturalization is difference with recruiting migrant kids. When the naturalization debate began in Indonesia, many people wrongfully thought that Zidane, Desailly, and Henry were ‘naturalized’ too, while in fact they grew up in France. Alessandro Santos graduated from Japanese high school and so were Tadanari Lee and Mike Havenaar. So far, Southeast Asia hasn’t had youth players who are born from migrants. Perhaps Singapore would have more half-Western players in the future, although this is still not the case in Thailand. Certainly, it would also help if more ethnic Indians and Chinese feel comfortable to become professional footballers in Singapore (which is still happening in Malaysia). Indonesia is still eager to find more European based players who have Indonesian parents, usually Moluccan-Dutch. In Indonesia, the Red and White’s successive wins have overcome all the skepticism about the team’s quality, the new citizens, and the new coach. Even now people say that Gonzales and Irfan are ‘nationalist’ Indonesians who sing the anthem proudly. Still, the semi finals will just begin on Wednesday and more people going to get hurt when their enterprising team failed to reach the final. The expectation is very big on Indonesia’s side. Seongnam continue the tradition of Asian teams to qualify to the semi-finals of FIFA Club World Cup, after defeating host Al-Wahda 4-1. Goalkeeper Jung Sung-Ryong attracts the attention of FIFA.com as the only Asian player who are in two World Cups this year. Seongnam will take it easy against Internazionale but feel at advantage with Inter’s current confidence crisis. Shinji Kagawa scores. Again. In Dortmund 2-0 win against Bremen. Another FC Seoul striker joins the Ligue 1 after Auxerre recruits Park Chu-Young’s successor Jung Ju-Gook. Park’s Monaco are on the edge of the relegation zone, while Auxerre do bit better on the 14th. Asia Football Update – Korea is Still the Best. 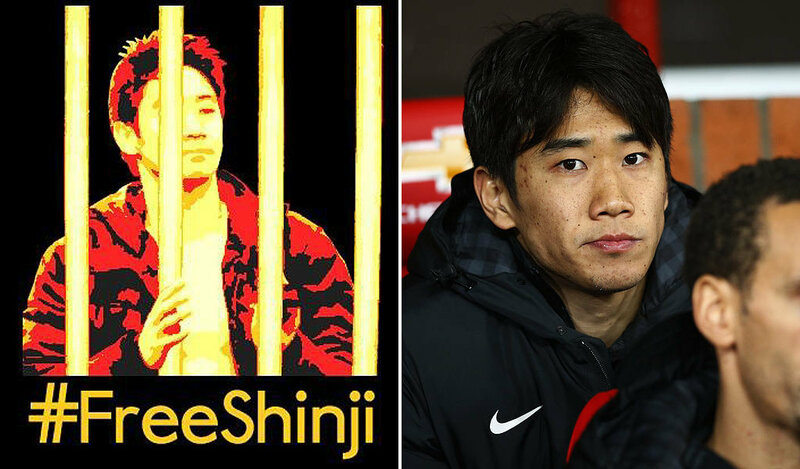 And so does Shinji Kagawa. When South Korea put in four teams into the quarter finals of AFC Champions League, the prospect of all-Korean final was bright. Then three teams were shot down spectacularly, and after defeating Bunyodkor and former champions Pohang Steelers and Al-Hilal, Zob Ahan have become a new favorite. It was unbeaten in the playoff round, while Seongnam suffered losses from Suwon and Al-Shabab. And then, Seongnam returned to its persistent and aggressive play, despite without Dzenan Radoncic. Hulking Australian defender Sasa Ognenovski fought his way through a scrimmage, and international defender Cho Byung-Kuk scored from a corner. Zob Ahan fought back through Mohammad Khalatbari’s header, but substitute Kim Cheol-Ho lifted the thriller in the 83th minute. Mauricio Molina failed to get two extra goals that would place him as the top scorer (the award goes to Jose Mota of Suwon), but Sasa got the Best Player award. East Asia has won the cup for the fifth year in the row, and the K-League has demonstrated its superiority over the J. League, Australia’s A-League, and Chinese Super League – at least for this season. Time is running out for Kashima Antlers to chase Nagoya. Nagoya defeated Omiya 2-1, while veteran players Koji Nakata and Mitsuo Ogasawara (remember Japan/Korea 2002?) took Kashima to victory over Kawasaki, which got the early lead through Vitor Junior. Gamba Osaka defeated Hiroshima 2-0 through Lee Keun-Ho and Lucas, while Cerezo failed to catch up with its rival after being held by Yamagata 3-3. Shimizu overcame its bad form with decisive 5-0 thumping of Shonan Bellmare. The goalscorers were all-stars cast of Shinji Ono, Frode Johnsen, Jungo Fujimoto, and Shinji Okazaki. The 2010 season is over. Shandong ended the last round by hammering Shanghai 5-2, with Han Peng’s hattrick is supposedly to ensure his entry into the Asian Cup starting eleven. Dubier Riascos, however, still managed to score a penalty kick to secure his goal tally against Shandong, and Shanghai is still qualify for the 2011 ACL. 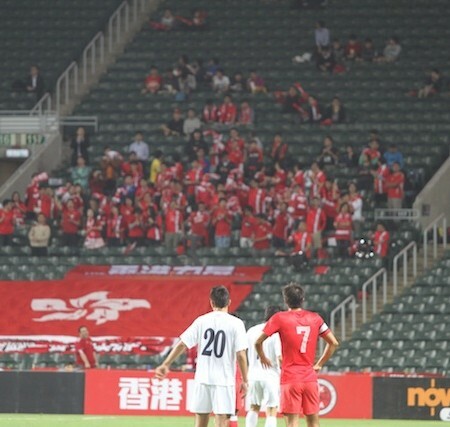 Despite Ryan Griffiths single goal against Jiangsu, Beijing failed to overtake Shanghai and to qualify for Asia. 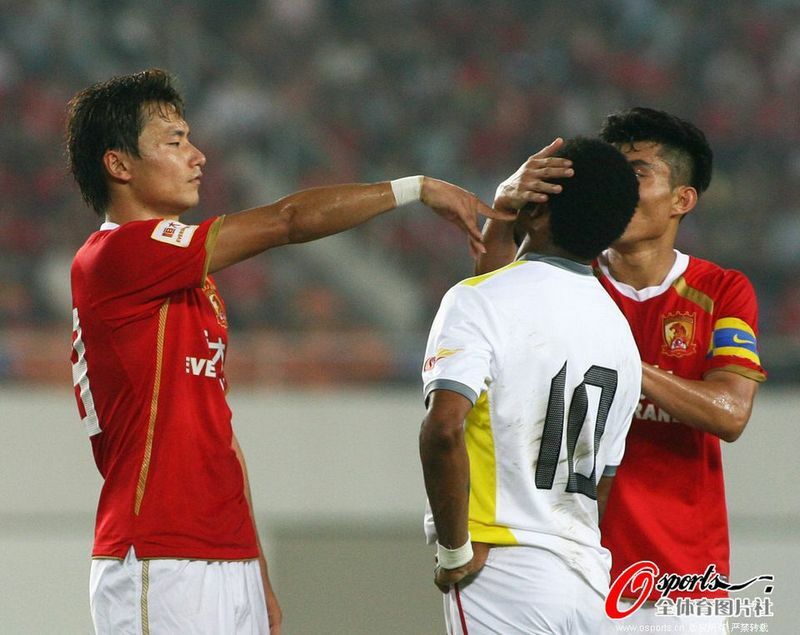 Tianjin and Hangzhou are also going to Asia with 1-0 wins over Henan and Qiangdao respectively. Who is Kosta Barbarouses? This Greek-New Zealander guaranteed another smiling week for Brisbane as Roars defeated Melbourne Heart 2-1, despite Gerald Sibon’s early goal. Barbarouses has appeared in all All Whites team since sixteen years old and have scored six goals since his debut in the A-League. Number two Adelaide suffered to unexpected defeat in the hand of Newcastle 1-3, with a double from Marko Jesic. A product of Cool Britain, Robbie Fowler, scored a hattrick for Perth against Melbourne Victory (which got one back through Diogo Ferreira). Newcastle will face a tough test this Wednesday against Brisbane. Persebaya Surabaya, a former giant of Indonesian football currently in the second division, held a charity match against a team of Dutch-Indonesian semi-pros – and lost 1-2. The match was held to promote the Indonesian Premier League, an opposition league designed to challenge the official Indonesian Super League. The Indonesian Football Association complained to AFC and FIFA about the employment of Egyptian referee during the charity match. A growing numbers of fans have no problem with the Premier League as they believe the FA is utterly incompetent in managing the national team. Indonesia canceled friendlies against Hong Kong and Philippines due to the explosion of Merapi volcano in southern Central Java, which ash fallout reached West Java. It was not the FA’s fault, but fans have contrasted the cancellation with the IPL’s success in inviting some Dutch (which again, are mercenaries who didn’t complain much about personal safety). Right, Shinji Kagawa. He is going to Barcelona, isn’t he? Maybe. Certainly clubs west of Germany and south of Netherlands are interested in this young Japanese, which scored again for Dortmund. Still, pundits agree that it’s better for Kagawa to finish this season with Dortmund – taking them to win the Bundesliga, the DFB Pok…(uh, they lost to Kickers Offenbach), and the Europa League (trailing behind PSG and Sevilla). Kagawa’s good, but there’s still Grafite, Gekas, and Gomez to overcome. And there’s still Blue Samurai in Qatar, hoping to win the AFC Asian Cup. Tim Cahill scored again in the last minute, this time against Arsenal. Unfortunately, that was Everton’s only goal. Two more games in the Russian Premier League, and Zenit St. Petersburg have become champions. Keisuke Honda’s CSKA Moscow still have Rubin Kazan breathing on their neck. Will Honda move westward in January? A Japanese player, Kosuke Kimura, who has lived in United States since he was 19, took Colorado Rapids to the MLS Cup final after scoring against San Jose Earthquakes. Bye-bye for host China in the Men’s Asian Games, after going down to a reinforced South Korea. World Cup veterans Park Chu-Young, Kim Jung-Woo, and Cho Young-Cheol showed Chinese goalkeeper Wang Dalei that it was alright to be angry (why does the link still have many ‘Asians eat dog’ comments?). Hong Kong’s great performance (draw against UAE and wins over Uzbekistan and Bangladesh) ended after Oman beat them 3-0, while Iran’s quest for the gold continues after overcoming Malaysia 3-1. Uzbekistan bounced back by defeating Qatar and will challenge South Korea in the quarter finals. Some old transfer news: Cerezo Osaka’s top scorer Shinji Kagawa moved to Borussia Dortmund while it is said that Mark Schwarzer received player-coach offer from Arsenal. So J & K leagues have returned, with Kashima overtaken Shimizu after victories against Kawasaki Frontale and recently against Jubilo Iwata (3-2, Gilton, Koji Nakata, and Marquinhos against Nasu and Naruoka). The highlight of the week, however, is 3-3 slugfest between Shimizu & Nagoya. Tamada scores 2 while Okazaki strikes one. In Korea, Jeju Utd. maintains its sensation (and league table lead) with away victory against Incheon United (2-1, Kim Eun-Jun and Santos Jr. against Song Yoo-Geol). Seongnam & Seoul are trailing one point behind Jeju with their respective wins against Daejeon and Gwangju. Confirmed: Yuto Nagatomo (the small -170 cm – beardy right back in South Africa) to Cesena (Serie A) on loan. Australian midfielder Mark Bresciano continues to play in Italy for his eleventh year, moving away from Palermo to the capital club of Lazio. Another option that he had before Lazio was Saudi club Al-Nassr, recently vacanted by problematic Korean winger Lee Chun-Soo, and where fellow Aussie Jonathan McKain plays.